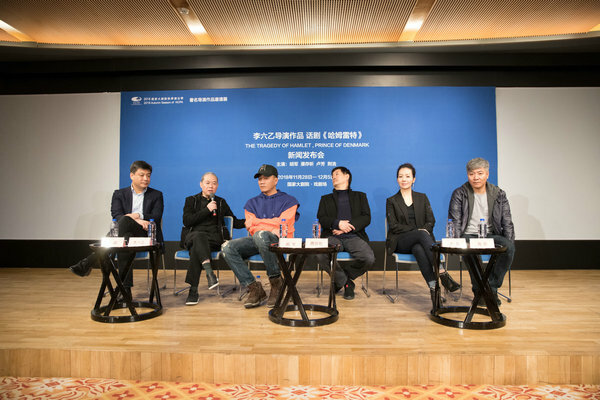 The latest version of the play to tread the boards of the National Center for the Performing Arts in Beijing, entitled The Tragedy of Hamlet, Prince of Denmark, directed by Li Liuyi, will make its debut on Nov 28 and will run through Dec 5. Veteran Chinese actors Hu Jun, Pu Cunxi and Lu Fang will play the leading roles, along with a group of younger actors, including Miao Chi, Li Shilong and Jing Xi, most of whom work with the established Beijing People's Art Theatre. Before The Tragedy of Hamlet, Prince of Denmark, Li Liuyi directed the Chinese version of Shakespeare's King Lear last year in another collaboration with the NCPA. The NCPA has been working with the Royal Shakespeare Company, a theater organization based in the Bard's hometown of Stratford-upon-Avon, on the Shakespeare Folio Project, which aims to make the playwright's work more accessible to Chinese speakers. During the development of Chinese versions of Shakespeare's plays, the Royal Shakespeare Company invites companies of actors, directors and playwrights from China and the United Kingdom to work together on translating Shakespeare's texts. So far, the NCPA has brought out five of Shakespeare's plays under the auspices of the project. The translation of the Chinese script of the play, The Tragedy of Hamlet, Prince of Denmark, was finished in London last year and Li Liuyi and the leading cast members were involved in the adaptation process. 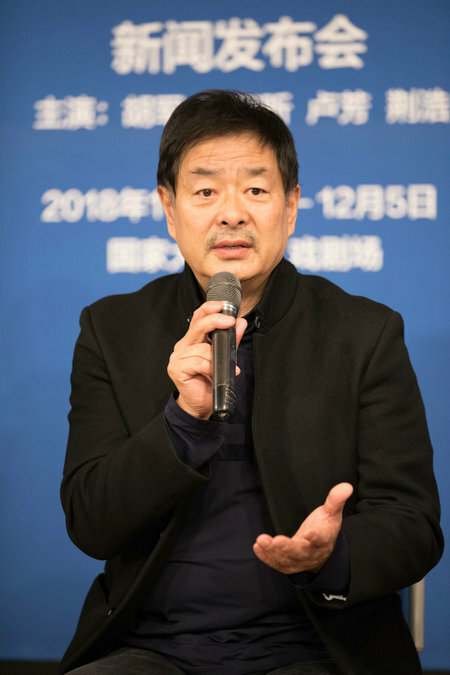 "When we started working on adapting Shakespeare's plays, we kept asking questions－various questions that could help us to understand the playwright's intention," says Li Liuyi, who also works with the Beijing People's Art Theater and whose works cover traditional Chinese operas, avant-garde plays, Western operas and ballet. "In adapting Hamlet, we were very sincere because it's a classic and so famous. We've been doing rehearsals for two weeks, and we never stop searching for ways to bring out what we perceive to be new discoveries from the classic play." In 1990, well-known Chinese theater director Lin Zhaohua adapted Hamlet, in which Pu played the leading role. In Li Liuyi's adaptation, Pu plays the role of Claudius and the ghost of King Hamlet. "Back in 1990, I found my ways to communicate with Hamlet and Shakespeare. It was a psychological drama," says Pu, 65. "This time, I play the character who murders his own brother and then marries the late king's widow. He is very complicated, and I am intrigued by the role." Chinese actor Hu Jun plays Hamlet in the work. In Lin's adaptation in 1990, Hu played the role of gravedigger. Hu's wife, Lu, plays both the roles of Ophelia and Hamlet's mother Gertrude. The creative team also includes costume designer William Cheung Suk-Ping, Chinese composer Zhou Juan from the Central Conservatory of Music and German set designer Michael Simon. 7:30 pm, Nov 28-Dec 5. NCPA, No 2 West Chang'an Avenue, Xicheng district, Beijing. 010-6655-0000.